Jongomero Safari Camp has a lot of style. 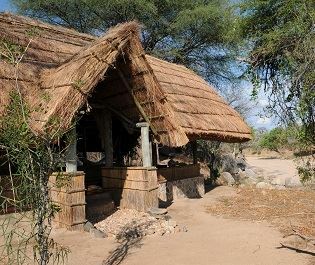 It’s tucked away in a very remote part of Ruaha National Park, many miles from any other camp. 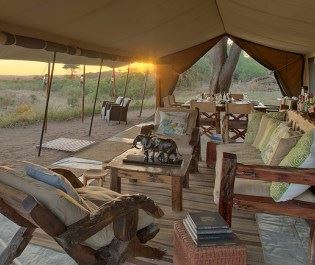 And despite offering plenty of luxury, this camp really evokes the ambience of the wilderness. 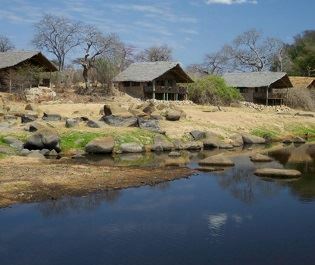 It combines adventure with charm, and it’s perfect if your idea of a safari camp comes with lots of nomadic elephants. 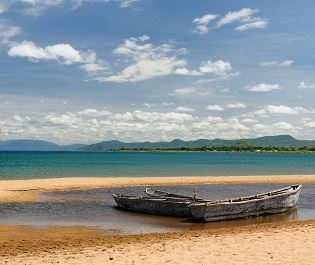 The camp stands on the seasonal Jongomero River, which becomes a parched sandy corridor from July to November. 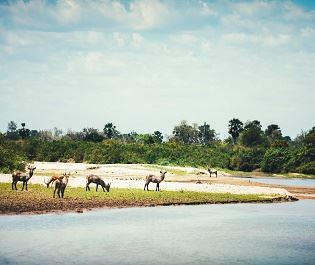 A huge amount of wildlife wanders past and we love watching it directly from the private deck. 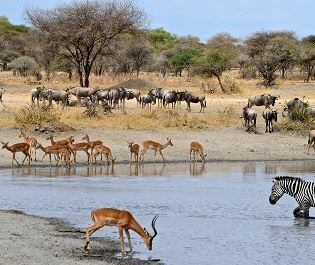 Safari really comes to you and it’s incredible how many of the famous animals you can see without having to move. Head out on a game drive and it’s rare you’ll see another vehicle for the whole day. 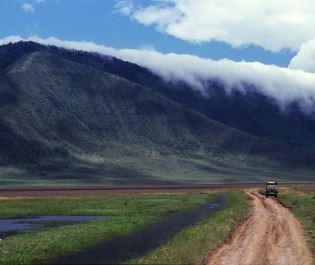 Every drive is flexible and the guides are some of the best we’ve been with in Tanzania. Just let them know your interests and the day will be customised to your liking. 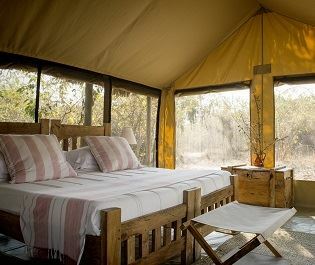 Although they’re called tents, the suites are much more like a boutique hotel than a camp. Raised on polished wooden platforms, they’re sprinkled with opulent touches and traditional African furniture. 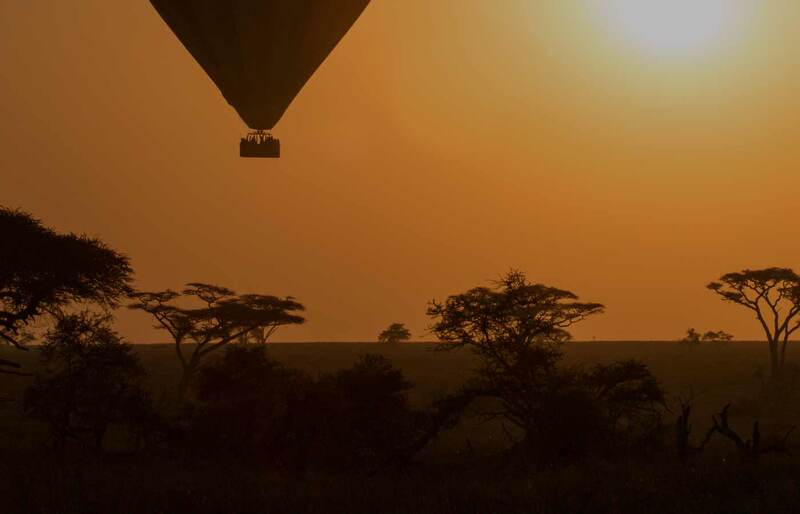 We love their elegance, how they can blend into nature and offer uninterrupted game viewing. 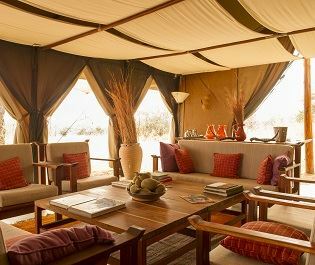 The lounge and dining area are further reflections of Jongomero’s position as one of Ruaha’s most luxurious lodges. Open June to March, children over the age of 10 are welcome, though we'd recommend this more for couples.